A low cost alternative to the original HP 51604A inkjet cartridge is now available. 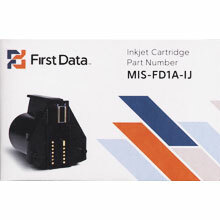 These are are a brand new cartridge, not remanufactured, from First Data and are a direct replacement for the HP 51604A, 92261A and the Canon CJ3A. The compatible 51604A inkjet cartridge is used in many Point-of-Sale Printers, ATM, Check Scanners and Check Endorsers such as the Telecheck Eclipse, Digital Check TS200 / TS350, NCR 5890, 5070, 7731 and Standard Register Endorsers. cost they have when buying a printer. Unfortunately, for many years a Compatible version of the NCR Tellerscan cartridge was not available and one had no choice other than to buy HP. Now you have a choice with the newly released compatible C6602A. These High quality and low cost cartridges are produced to meet or exceed the original equipment manufacture (OEM) brand specifications and testing comparisons. The compatible C6602A cartridges are backed with a 100% satisfaction guarantee for up to six months, and are a real, cost-effective alternative to the original HP cartridge. information on the category of HP TIJ 1.0 Print Cartridges Black Generic Inkjet Print Cartridge: Ink cartridges for inkjet printers. Warranty standard statement: Each HP print cartridge and ink cartridge is warranted to be free from defects in materials and workmanship during the period of the warranty. This warranty pertains to any HP print cartridge or ink cartridge when used in its designated HP or authorized OEM printing device. Refer to the printing device manual for the proper print cartridge and ink cartridge selection. The cartridge is under warranty until the HP ink is depleted or the end of warranty date has been reached, whichever occurs first. 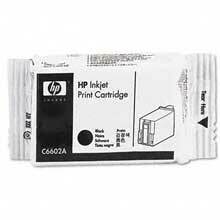 I know what your thinking, whats the HP 51604A ink cartridge doing here, this is C6602A.com. Well to be honest how much can you really say about a particular ink cartridge. The 51604a cartridge does however go into certain NCR Tellerscan printers just like the C6602A does. Here is a list of printers this cartridge is compatible with. Dataprocess DSA 50 Cash REG. The following part numbers are the same as the C6602R Red ink cartridge. If you find any other part number that you think my cross over to the C6602 ink cartridges please let us know and we will get them added. The Material Safety Data Sheet (MSDS) for the Hewlett-Packard C6602 Series Ink Cartridges can be found on the HP website at the following links.